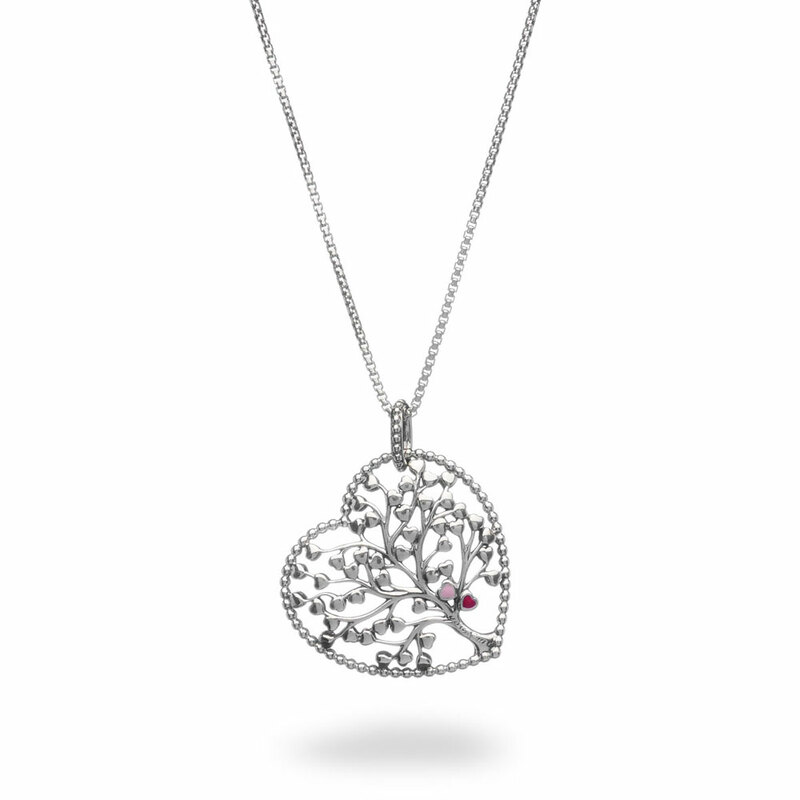 This beautifully-crafted statement necklace pendant features an intricate tree of love set in a beaded heart-shaped frame. The sterling silver and enamel design is a beautiful representation of a love that continues to grow, the chain features a sliding ball clasp - suitable for any neckline. Available online or in-store. Tree of Love Necklace is rated 4.9 out of 5 by 7. Rated 5 out of 5 by HazelE from Tree Of Love Necklace I got this from my Babe for Xmas and I simply love it. The meaning says it all. He did a great job with all my Xmas gifts, but this one meant the most to me. Rated 5 out of 5 by JaynK from Love this - new type of chain! I bought this for myself - the pendant is very pretty. My fav part is that it's not a standard link chain. It's better/tighter/smoother/stronger and is easily adjustable by sliding. New favorite - my friends all love it too. Rated 4 out of 5 by Hansmarie from Love it!! Im in love with my pressent,love Pandora gifts are my favorites!!! Rated 5 out of 5 by Natalya70 from Tree of Love! Received it a a Valentine's Day gift from my sweet husband! Absolutely stunning!!! Rated 5 out of 5 by Ace_gs350 from Love it Looks great with any outfit. Good quality. I recommend it to anyone. Rated 5 out of 5 by Family1st430 from Awsome I love it. My husband bought it for my 30th bday. Thank u so much.